Our parish is a Catholic community of faith that seeks to welcome all who want to worship our God and be nourished by His Word and His Body and Blood. 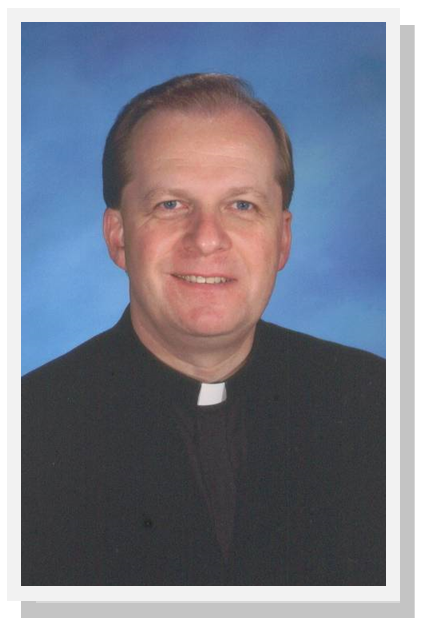 This website is presented to provide you with information about our parish and our activities. Hopefully, you will find the site interesting and easily locate the information you might be looking for. Please take some time to browse through our site and feel free to e-mail us with any questions or comments you may have. 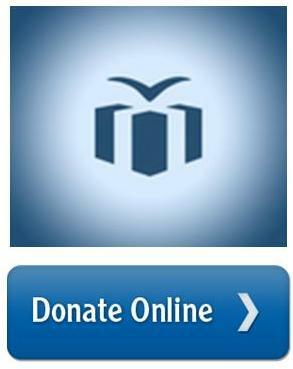 St. Hele n Parish now accepts online donations through Give Central. The Archdiocese of Chicago has adopted this new program to make online giving easy! Through Give Central, you may make paperless donations (one-time or recurring) to the parish using your credit card, debit card, or electronic payments. We, the people of St. Helen Church, are called to embody our motto, “Proud of our Past, we move forward with Faith.” We owe a debt of gratitude to the Catholics of Polish birth and descent who founded our parish more than a century ago and laid the foundation upon which we continue to build today. Our patron, St. Helen, who found the True Cross, was a builder of churches and a provider for the poor and exiled. We strive to follow the example of her spiritual quest and to strengthen our parish by accepting our diversity, by welcoming those who have lost their way, and by serving those in our community. We recognize the importance of a strong union between our diverse and growing school community and our church of mercy that will keep St. Helen’s light burning bright for another 100 years. Participating in the Mission of Christ, the Church of St. Helen proclaims the Good News of salvation and celebrates Holy Sacraments by faith in Jesus, by guiding people to know Jesus and to unite their lives to Him. The memory of John Paul II is especially vivid in our parish. It is here that thanks to the generosity of many parishioners, the parish built the first monument in the Archdiocese to the late Pontiff, even during his life. 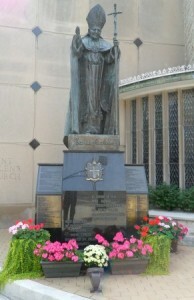 The statue of John Paul II is located at the Southwest corner of Augusta Blvd. and Oakley Blvd. right in front of the church. This past year we improved the area around the statue and created the John Paul II Memorial Garden. It is dedicated to the memory of our loved ones living or deceased whose names can be engraved along with dedications on bricks surrounding the statue. This fall we installed the first bricks and they look beautiful. They are in a prominent place – accessible from the sidewalk in front of the garden that many people use every day and often pause for a prayer as they pass by. There is plenty of room for everyone who would like to order a brick to remember your loved ones, engrave your special intention, or simply commemorate a special event of your life related or not to St. Helen’s Church, like your graduation day, wedding day, and so forth. We invite all of St. Helen’s parishioners and friends to join us to expend the garden and leave behind a mark of your past presence at St. Helen’s. As we look forward to our 100th Anniversary of the Parish we hope that this memorial garden will be a nice legacy of our parishioners for generations to come. A form to request a brick with a dedication is below. The total cost per brick with installation is $120. 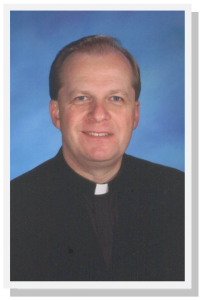 Please, click here to fill out the online form, or fill out the PDF printable form and return the filled out form to the rectory.